This landmark annual review has provided nearly three decades of knowledge, insight, and research on topics critical to nurses everywhere. 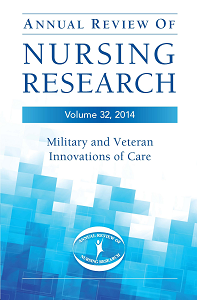 The purpose of this annual review is to critically examine the full gamut of literature on key topics in nursing practice, including nursing theory, care delivery, nursing education, and the professional aspects of nursing. Previously edited by legendary leaders in the field of nursing, Joyce Fitzpatrick and Elizabeth Merwin, ARNR now continues its long tradition of professionalism with series editor Christine E. Kasper. ARNR has brought together internationally recognized experts in the fields of nursing, and continues to deliver the highest standards of content and authoritative reviews of research for students, researchers, and clinicians.